We have what you need to meet your fitness goals! We offer access to most all popular training equipment, personal trainers to fit your schedule and specialized classes for those wanting more! Lighted and covered basketball courts are a great way to build friends and your body at the same time! Come on by with your friends and check out our courts! Check out our monthly schedule online or come in and see for yourself! 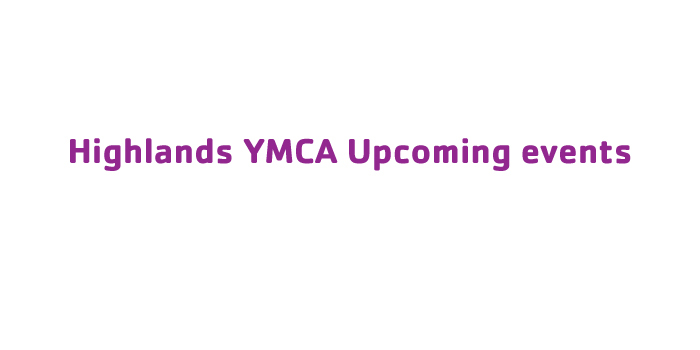 The Highlands County Family YMCA offers programs and classes for all ages and interests! We have Spin Classes, adult and kid's Zumba, Kickboxing and Water Aerobics, everything you need to stay fit and healthy! All programs are available to the general public, and fitness classes are included with memberships. P.S. For those with little ones at home, we offer daily daycare services so you can work out with ease. Our highly qualified and specially trained staff will ensure that you make the most of your time at The Highlands County YMCA! In the early 1980s Chronic Fatigue Syndrome was identified by medical professionals as a potentially debilitating immune disorder of an unknown cause affecting multiple systems in the body. It is a medical concern that is subsequently being researched in an attempt to further define the disorder. 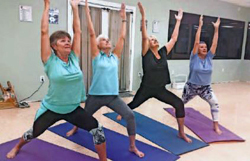 In today’s faced paced and multidimensional society of computers, internet and media, yoga provides relief from resulting fatigue, anxiety, stress and depression through pro-active movements. “Asanas,” of mindful meditation postures can decrease agitation, restlessness, inertia and other symptoms of chronic fatigue. Disjointed body movement, frowning facial expressions, harsh voice inflections, listlessness, fast breathing, nervous habits and depletion of energy are visible signs of fatigue in the body and can be lodged in the nervous system or other parts of the anatomy. A continued yoga practice can part the way of the world by traveling “inward,” clearing a calm space for internal/external reflection and transformation. A good starting point is practicing yoga in daily chores to pursue a different way of living in peace and beauty, despite the penetrating negativity of the world. Yoga opens a pathway to inner serenity by refocusing the mind/body. Let’s begin to enter the zone of yoga “Asanas.” Sit in a comfortable seated posture. Begin to rub the hands together and generate a warm heat. Gently fold the forehead and closed eyes into the palms. Do not put any pressure on the eyeballs but instead press on the brow and cheeks outside the bony rims of the eye sockets. Focus on deep long breaths releasing the facial muscles. Stay here for one to five minutes. When you release the palms, gently open the eyes and roll them around in the eye sockets. Soften your focus and let go of tension in the face. Slowly begin to radiate a smile on the face as you feel the whole body relax. Continue to breathe slowly and focus on “letting go,” meditating on calming thoughts as you close the eyes again and practice deeper breathing. Fully exhale any tension and fully inhale calmness, expanding the front thoracic cavity enriching it with fresh oxygenated blood. Remain in this state of tranquility as you open the eyes and begin to move slowly. Next, turn inward as you stand in Tadassana or Mountain Pose. Descend into your body and visualize purifying the mind by releasing the jaw, widening the space between the eyes and glowing radiance. The lips gently touch as the body ascends and expands with a feeling of replenishment. Let go of all conflicting thoughts and if they do creep into the mind, let them float through on a little cloud and return your attention to deep breathing. You can practice this simple Asana anywhere, anytime, as it is a place to regenerate inner harmony. Rewind your inner clock. for bus transportation from Woodlawn, Cracker Trail or KLC to Highlands County YMCA.